A lot of ventures fail after their first three years. After three years, it seems, many of them run out of funding, out of favours, and out of friends. It’s all the more difficult when your work was never designed to make a profit, just a positive difference in the world. There is no tangible return on the colossal investment of time and money. After three and a half years, The Human, Earth Project has reached a major crossroads: to give up, or to go on struggling against a serious lack of funding. When I first announced the news earlier this month, I received many beautiful messages of support from family, friends and strangers around the globe, and I appreciate them all. One message in particular stood out from the rest. It came from Ethos, an ethical trekking organisation operated by some very good friends of mine in Sapa, northern Vietnam. 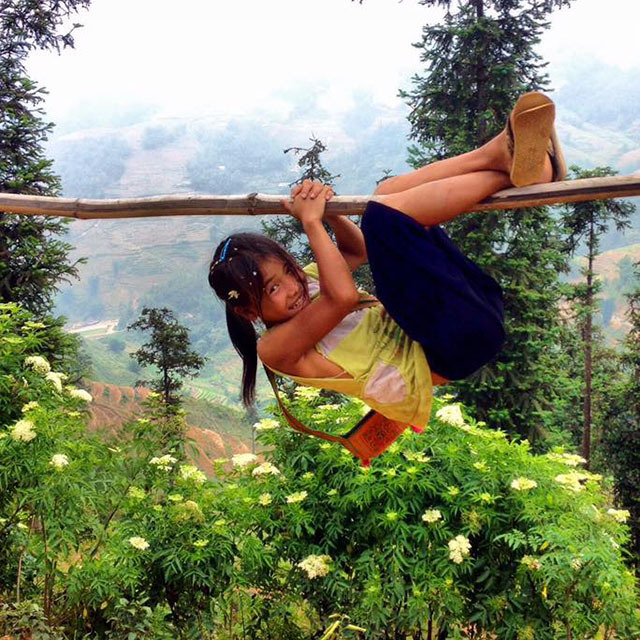 Sapa is where this long, strange story first began. 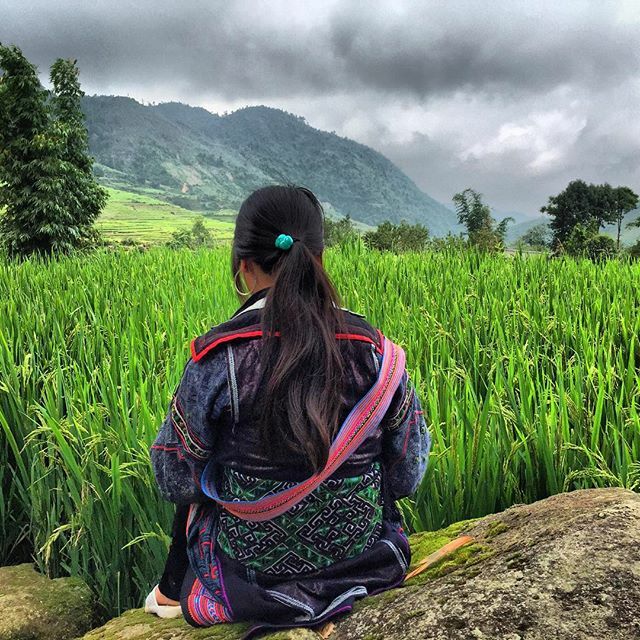 Six years ago in Sapa I met a group of young tribal women who were later abducted and trafficked into China for sale as brides and prostitutes. My attempts to find and rescue these women, and to understand the larger human trafficking crisis, form the basis of Sisters For Sale, the feature-length documentary I’ve been focused on since 2013. I’ve risked my life and spent all of my personal savings to bring Sisters For Sale to the world. I first met the Ethos team while filming in Vietnam in early 2014. Ethos was the only organisation I found in Sapa who truly shared my passion for assisting the deeply disadvantaged local communities. Ethos are only too familiar with Sapa’s human trafficking crisis. They see local girls – including friends and family members – disappear on a regular basis, and want to do all they can to stop it. They understand just how important this work is, and what a difference Sisters For Sale could make in the lives of countless young women around Sapa. They realise that Sisters For Sale is not an end in itself, but a powerful tool in an ongoing struggle, which would be of immeasurable value to local communities. Ethos also know I can’t finish this film alone. Producing a quality, feature-length documentary is too much work for one person. Together with the additional demands of The Human, Earth Project – management, promotion, fundraising, etc. – it’s simply overwhelming. I need skilled, committed assistance – yet I can’t afford to pay someone, and have little else to offer. I’ve given my time and skills for free, but I can’t expect others to do the same. That’s where I’ve been stuck, for far too long, working and waiting for a change that hasn’t come. And now I’ve reached a limit: I’m no longer willing to continue this work alone. Since I last wrote, the Ethos team lost another close friend to human trafficking. Her name is So, and she’s twelve years old. Too young to be sold as a bride, So has almost certainly been sold into a Chinese brothel, where a girl can be raped up to 40 times a day, every day. Take a moment to think about that. Then multiply it by hundreds, thousands, tens of thousands, and you’ll begin to understand why I’ve given years of my life to this work. We don’t know where So is, or how to get her back – but we can stop the same thing happening to other girls. Ethos want to do all they can to save Sisters For Sale, and are now offering a unique, once-in-a-lifetime volunteering opportunity to one special individual. It might be you. It might be someone you know. I’m looking for someone with a high standard of written English, promotional experience using a variety of social media platforms, and a willingness to get involved in meaningful work that will have a very real impact on the lives of young disadvantaged women. I’m looking for someone who can get to Vietnam for a life-changing experience. 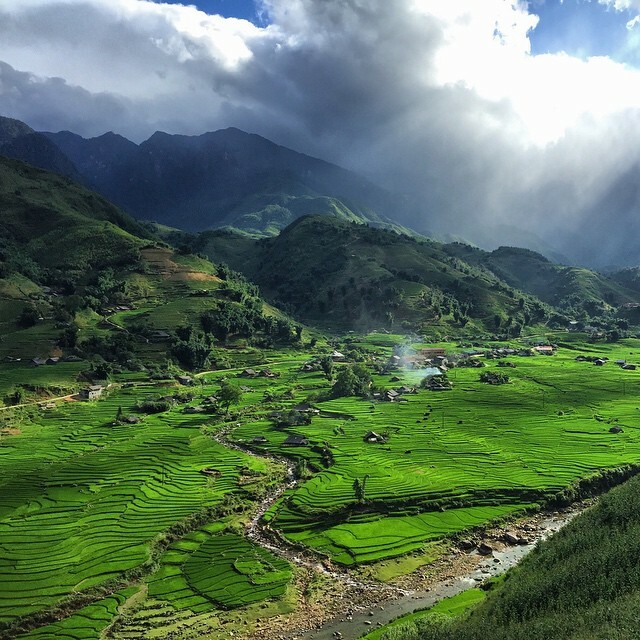 You’ll spend a month amongst the tribespeople of Sapa, in a breathtakingly beautiful corner of Vietnam. 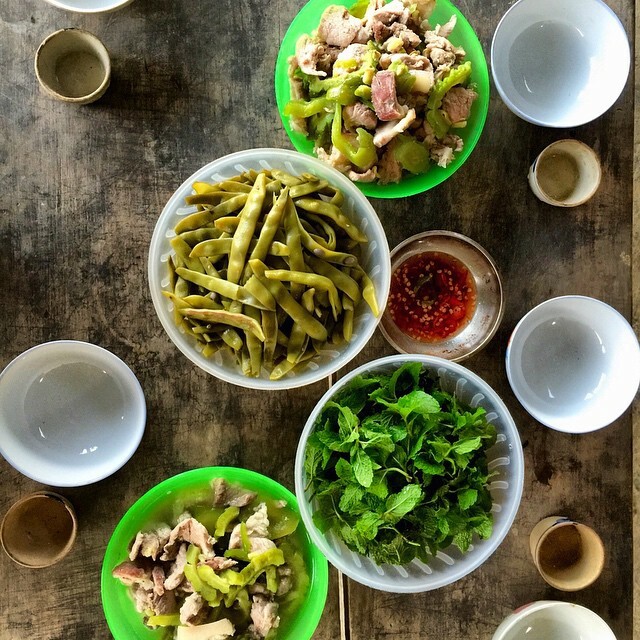 You’ll share authentic Vietnamese homecooked meals with the Ethos team, and you’ll live in their home. You’ll meet the colourful local women, and learn why they’re so vulnerable to human trafficking. They won’t be faceless, nameless strangers anymore: they’ll be your friends. Your perspectives will be altered. Your mind will be blown. You’ll understand exactly why I do what I do – and you’ll help me. You’ll spend a month assisting me with Sisters For Sale, so we can get it out to the world, and make a difference against human trafficking. If all goes well, we’ll make it two months. I guarantee you’ll never see the world the same way again. 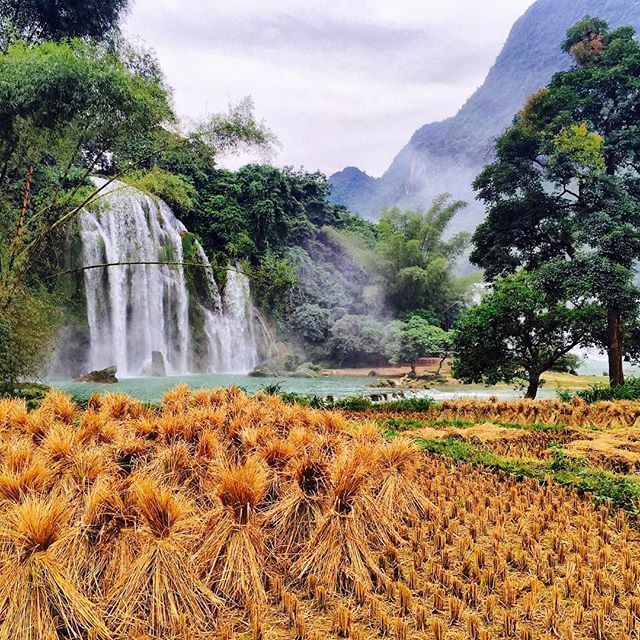 All you need to do is get to Vietnam: Ethos will cover your meals and accommodation in Sapa. 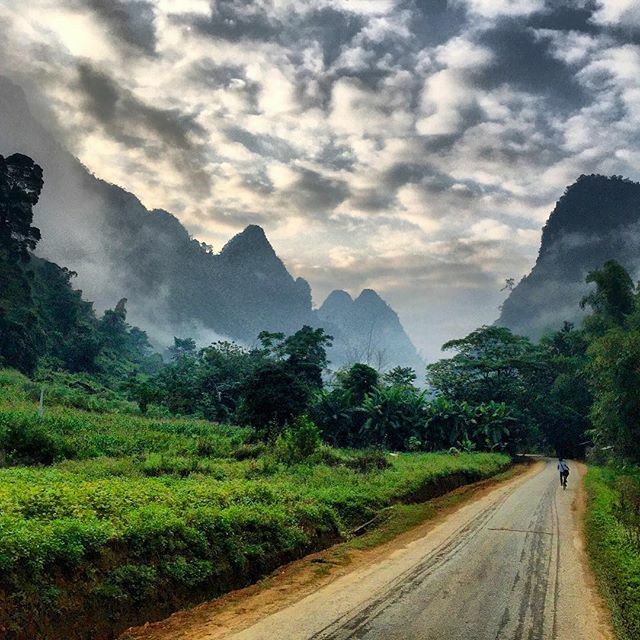 You can learn more about Ethos and their work in Sapa on their Facebook page, or check out their Instagram to get a peek at life in northern Vietnam. For the rest of you, I’ve got something very special coming soon. In the three days since this post was shared, it has reached over 30,000 people, including many who were not previously familiar with The Human, Earth Project. In that time, there have been some excellent applications among the dozens I’ve received for the volunteer position. I’ll begin replying within the coming days. I’ve also received numerous questions from those who have misunderstood the position, and will address the more common misunderstandings here. Firstly, it is not a film-making position. All filming has already been completed, and Sisters For Sale is now in post-production: you can see the trailer below. The successful applicant will be involved in spearheading an online campaign to raise the funds necessary to complete Sisters For Sale. The workload will be approximately 5 hours a day, 5 days a week. 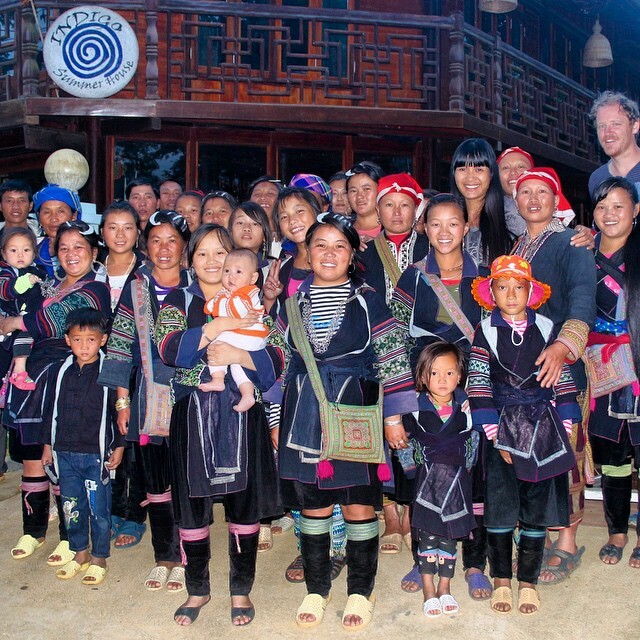 The rest of the time will be yours to explore the Sapa region, to engage with the local communities, and to understand what makes this documentary so vitally important. This is a fantastic opportunity for an incredible, once-in-a-lifetime opportunity. While the criteria I’ve given for the volunteer position are few, they are crucial. Many have applied for the position without being able to meet the criteria, but with a great passion to help make Sisters For Sale a reality. While I appreciate your willingness to learn on the job, it is not possible in this case. Others have expressed a desire to help without applying for the position. When the fundraising campaign launches, I’ll appreciate all the help I can get, and your participation will make a real difference. The initial volunteer period will be one month. Ideally – if the volunteer works well with Ethos and myself, and is happy to do so – the position will be extended for a second month. 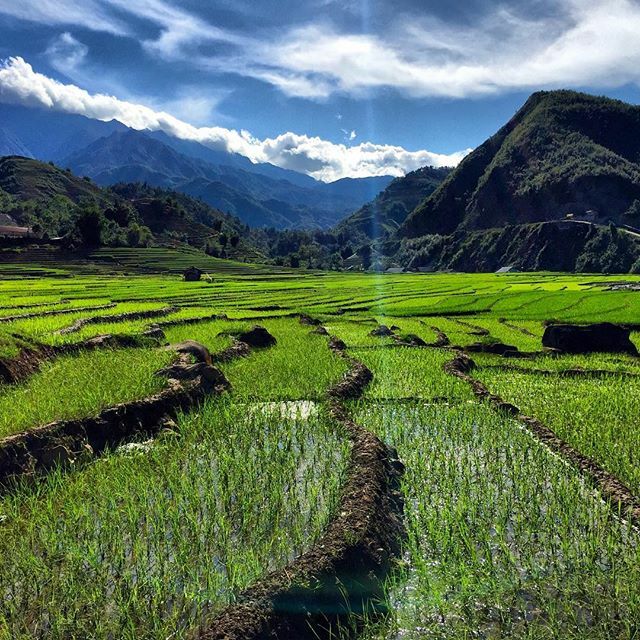 Ethos will cover all your meals and accommodation in Sapa. The start date is flexible, and depends on when the volunteer can come to Vietnam. However, I am looking for someone as soon as possible, and will give preference to those willing and able to start in August. The winning applicant will be selected for their experience and passion, and can be of any age, gender or nationality. It is not physically demanding work. The position is for one person only, not for couples. Applications will remain open until a suitable candidate is found, and the winner is announced here on my blog. To stay in the loop, subscribe here. In my post I also mentioned So, a twelve-year-old friend of the Ethos team who was trafficked earlier this month and has almost certainly been sold into a Chinese brothel. Whilst the odds are firmly stacked against Ethos ever locating So, they have invested a great deal of time and energy into identifying her traffickers, and have had some unexpected breakthroughs. It’s rare to find a happy ending when it comes to human trafficking. We’re doing all we can to make sure these stories never even get started, and we could use your help. Applications for the position are now closed. A winner has been chosen from the many excellent applications, and will be announced this week.